Mobile Marketing: Are your businesses on the map? Customers are increasingly using on-line platforms to find local businesses in real time. I know I do it all the time. Just the other night I was out with a friend and we had planned to meet at a restaurant in Soho. When we got there it was packed. What did we do? On a cold winters night in New York there was only one option. We stood in the heated vestibule and searched Yelp for an alternative. We found a great restaurant with a two block walk that had good reviews, a decent price range, and no wait. We liked it so much that we will undoubtedly go back. And honestly, I can’t even tell you the name of the first place we tried. Clearly, Yelp helped at least one business gain a customer they otherwise would never have seen. On-line profiles definitely help, yet most businesses do very little to manage them. 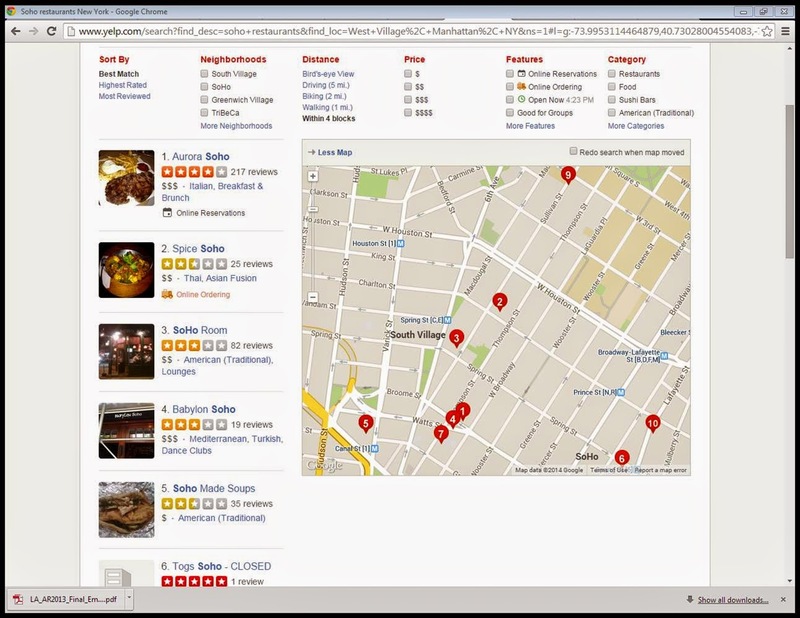 In 2013, the Boston Consulting Group surveyed 4,800 local businesses and found that those businesses that claimed their FREE Yelp profile reported “incremental revenues of $8,000 annually”. This is not paid advertising, mind you. Yet only 15% of small business owners know that they can get a free Yelp profile, and only 11% claimed it. Below is a quick summary of some of the most popular on-line platforms and some basic instructions on how to use them. In each case, the instructions are somewhat similar, a business goes to the search engine and verifies their identify. They are given an account and go easily go about managing their identity. In some cases you as a commercial district manager can actively help (for example, a business using Google can add you as a “Manager”), in others, only the business owner can verify and manage their on-line identity. 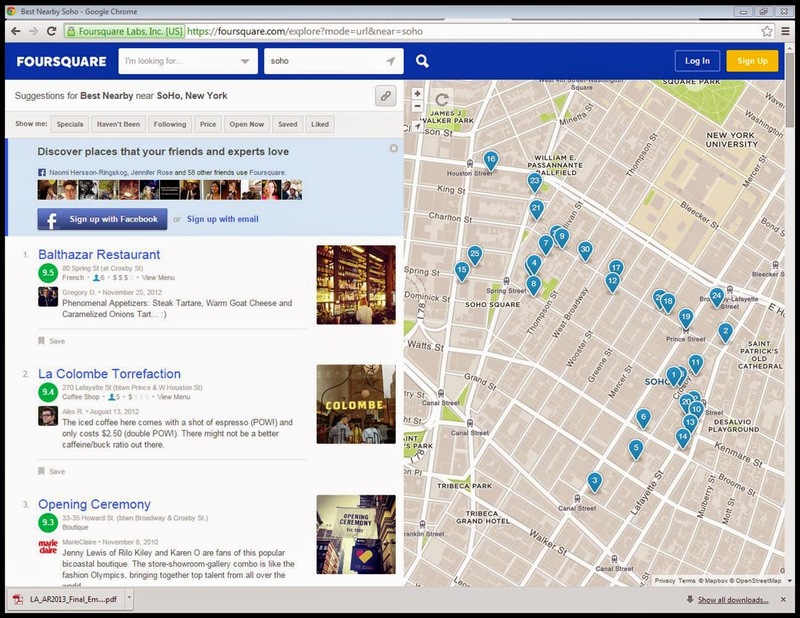 Bing is increasingly creating opportunities for “venue” maps. They started in 2010 by adding maps of malls, but it seems that more and more commercial districts are getting into the business. 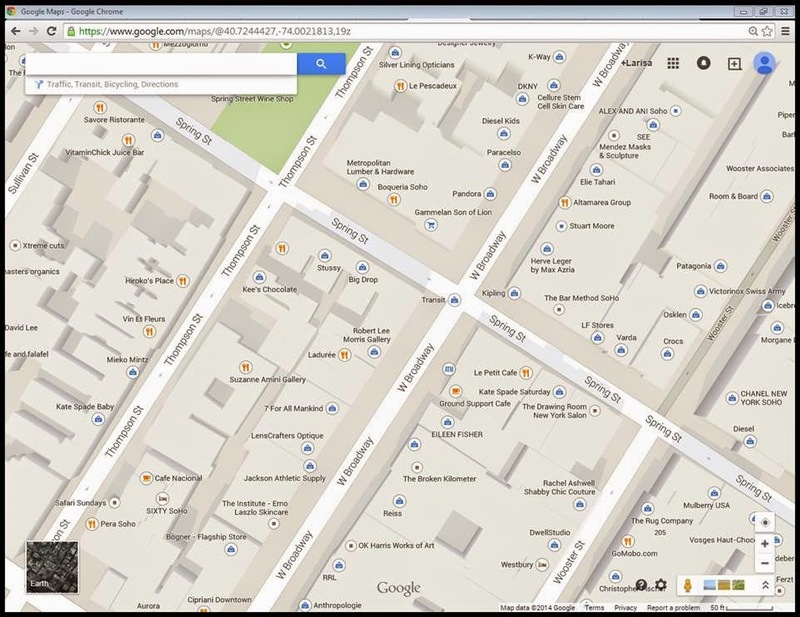 Check out the image below for a map of Soho with nearly every business listed. If you roll over the map, the businesses are linked back to a profile that includes the company website and hours of operation. When you compare it to the Google map below, it is clearly easier to navigate and understand. The map has the look and feel of a mall directory. How commercial districts can get onto Bing is not quite clear…but we have a request in to find out and will share with you when we know. Google is the 6th most popular mobile app, and the first most popular mapping engine in the world, so getting businesses on the Google map should be a no brainer. Direct your business owners to http://www.google.com/business/#befound to get started. Once a business has claimed an add, they can do things like set up a Google Adwords campaign much more easily. Remind them that additional managers can be added under Settings>Managers. 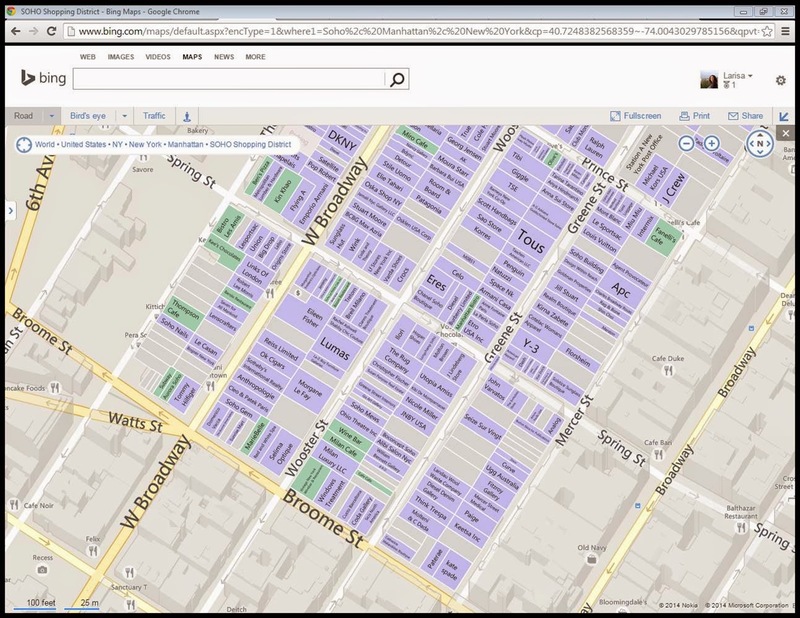 You should also know that you can list your commercial district management entity to the Google Map directory as well. Your district entity can then take the lead on setting up Adwords campaign for the entire district, which can be used to market events and actitivies as well. We worked with a community a few years ago on a restaurant marketing campaign that used Google Adwords and we were thrilled that it resulted in significant increased sales for participating local businesses. It should be noted that many businesses loathe Yelp. The issue here is that some businesses think that Yelp unfairly filters positive reviews (in an effort to prevent an owner from soliciting reviews from customers) and therefore highlights negative reviews. Not sure where I stand on that, but the truth is that a Yelp listing can drive traffic. Business owners can help increase the number of reviews – and good business will undoubtedly receive more positive reviews than negative ones – by adding badges to their websites or putting “Find us on Yelp” signs in the window or on the front counter.